I get it. DNS can be confusing. It’s so simple right? Just turn an hostname like www.asdf[. ]com into an IP address. Ah yes the but the complexity is in the details right! 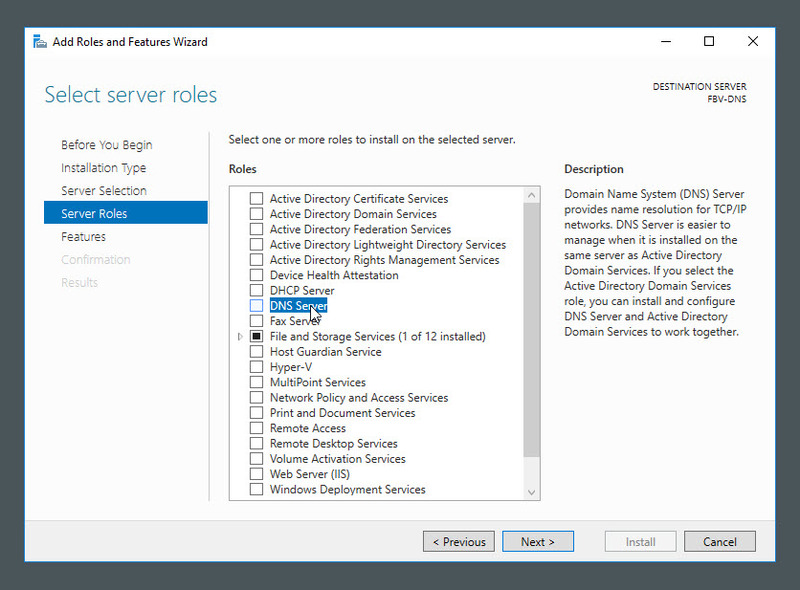 So in this little tutorial series I’m going to show you how to configure a Windows 2016 Server with DNS services. 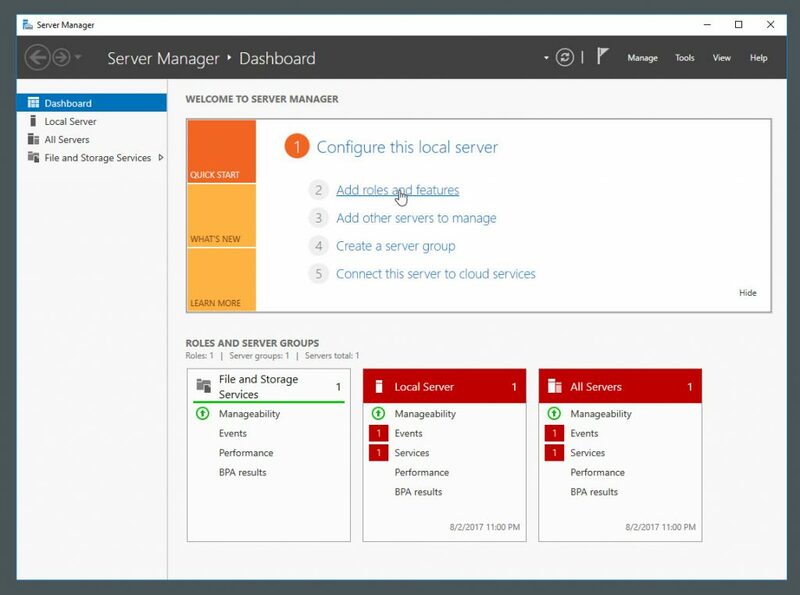 We’re going to pull this off using both the Server Manager and PowerShell and it’s gonna be awesome. First I’m going to show you how to add the DNS server role to the server and then how to test it to make sure it’s working. You ready for this!? Now you might be thinking how is this going to work? I mean, if we configure the server to use itself to resolve domain names how is it going to do that? 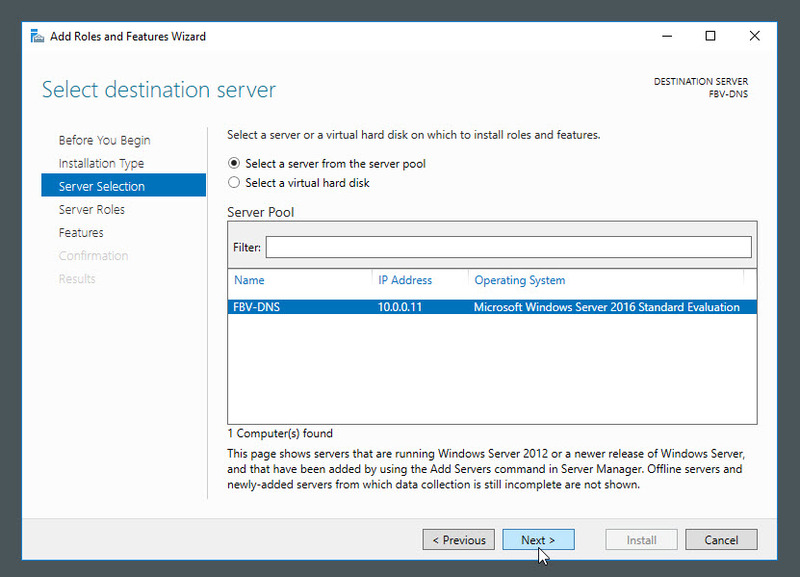 So to get around this, to make our Windows 2016 Server happy , we’ll configure it as a DNS Forwarder. Because when the server tries to resolve a name it doesn’t know, it can forward that request to another DNS server, such as 8.8.8.8, which might have the answer. Then the 8.8.8.8 server would fetch the request, return it to our local DNS server and then this DNS server would cache the response before sending it back to the client. 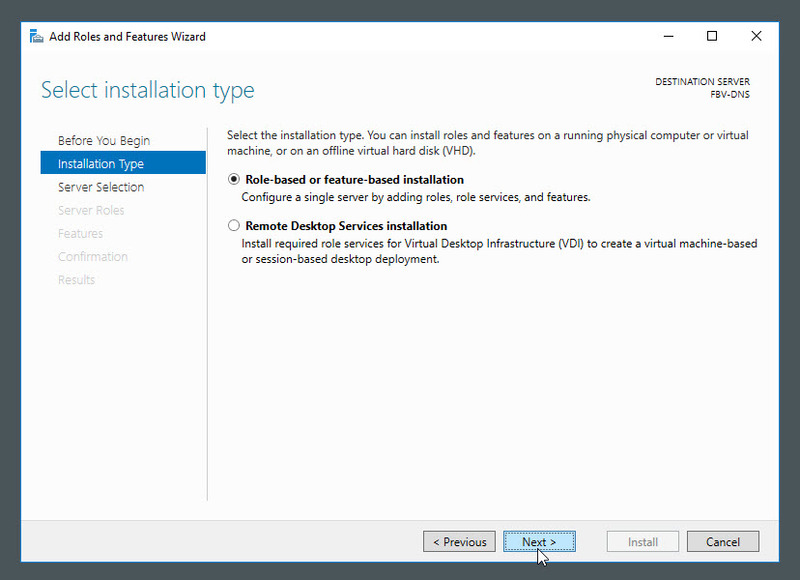 We can leave “Role-based or feature based installation” enabled. Then we’ll leave the default server selected. It’s just asking us which server we want to install the software on. We only have one Windows 2016 Server here so I’ll just click Next. 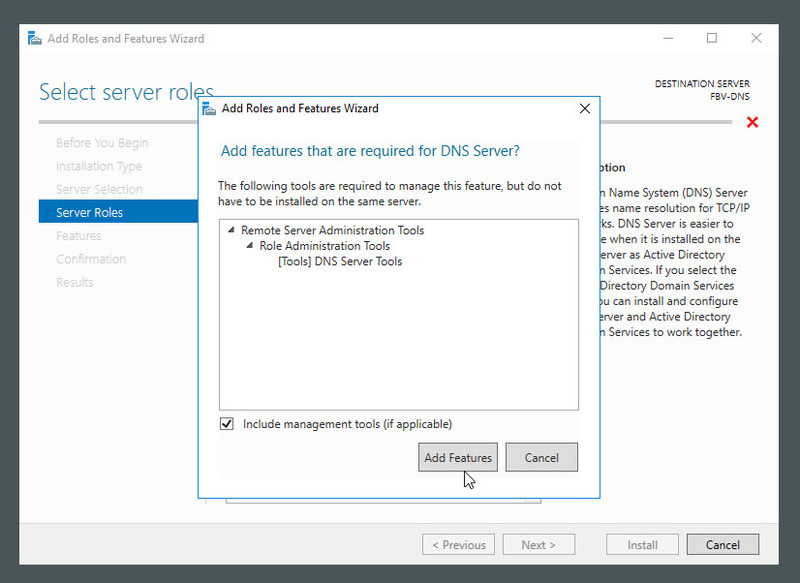 Then give the DNS overview a quick read (you should at least read it once) and click next to install it. We could also have used PowerShell to do this- which honestly is the best way to pull this trick off. And that’s it. As you can see I’m PowerShell biased. 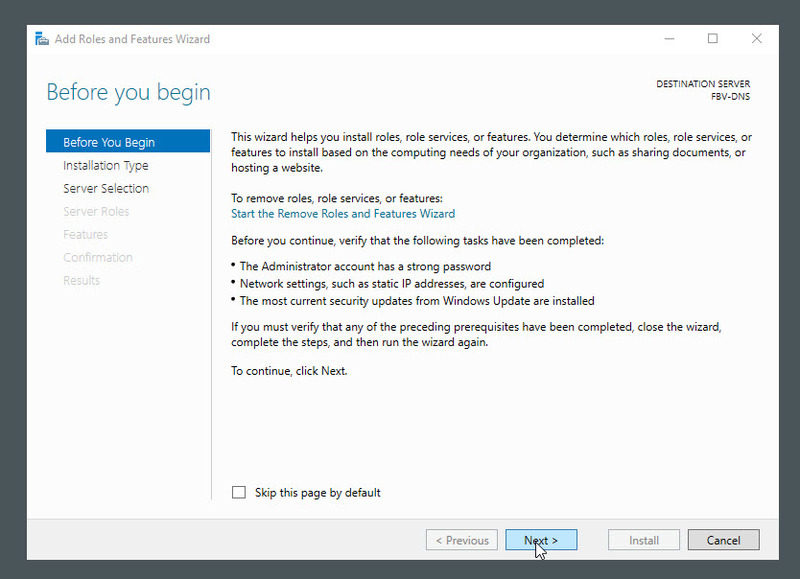 In the next post I’ll show you how to configure DNS and actually setup the DNS forwarder. You’ll be done in no time and it’s super easy to remember.